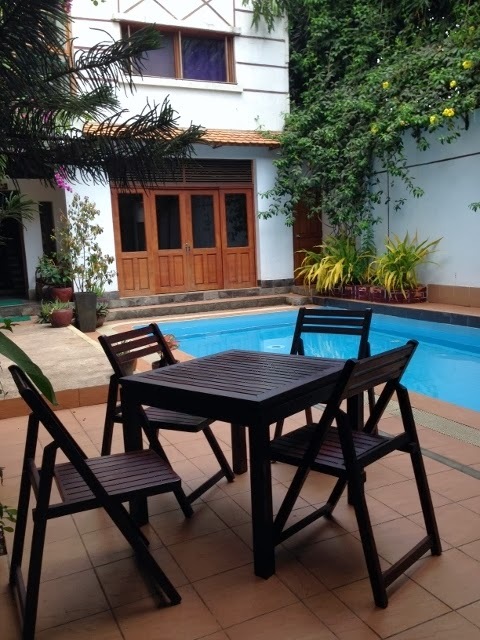 You Khin House is a special, secluded hideaway in Phnom Penh, Cambodia. This House is owned and managed by the Cambodian non-profit Seametrey Organisation which enables children of underprivileged Cambodian families to get a quality education. All revenues generated from the guest house go to Seametrey Children’s Village, the nursery/day care and primary school, which is located next door. 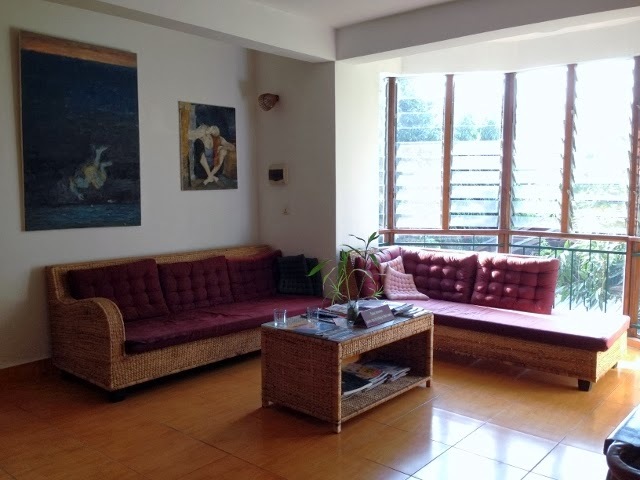 This 3-story guest house was built in 2006, and is located in the quiet residential neighbourhood of Tonle Bassac. 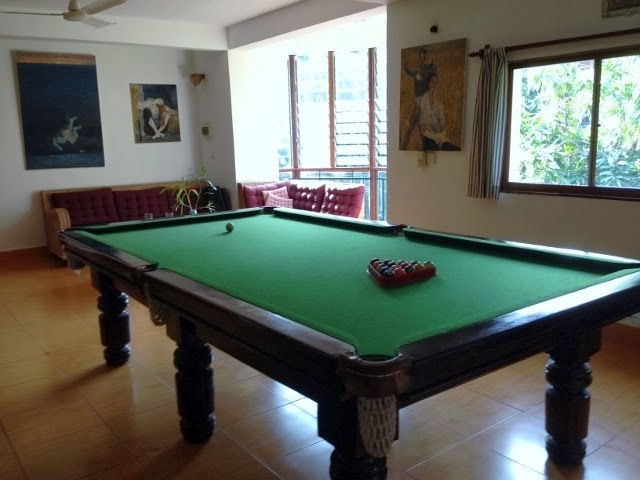 It offers a homely and comfortable environment. 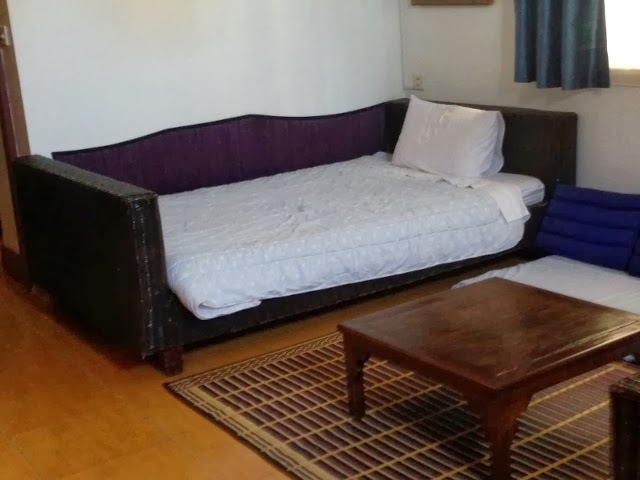 There were seven of us on this trip, so a friend had booked all the rooms in the guest house, they have single, triple rooms and a self-contained unit, which has 1 double-room, 2 single beds and a kitchen corner, which is the room I stayed in. This is one half of the room wich contained the two single beds. 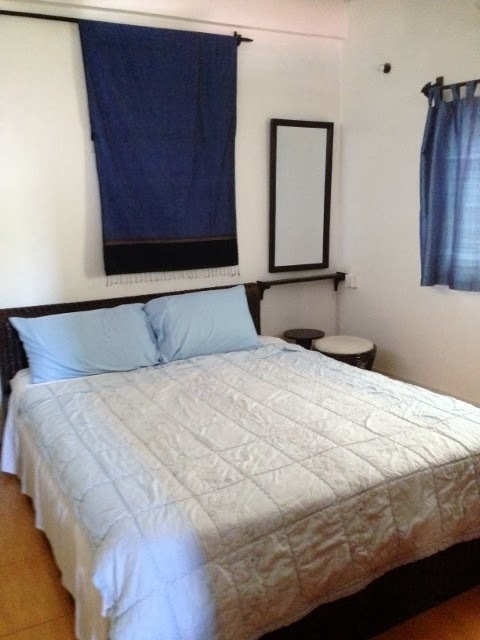 The double-bed in the separate room. 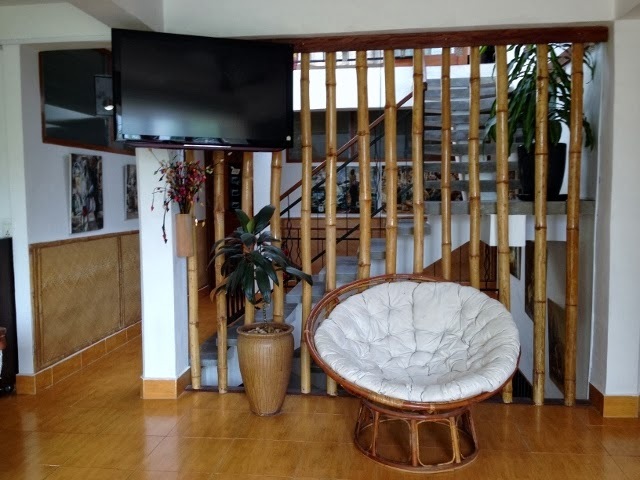 Here are a few pictures of different chillout areas throughout the guest house . . . The guest house also has a pool, next to the main dining area, I didn't get a chance to use the pool though. Continental Breakfast was included during our stay, and this was the spread every morning. The breakfast included fresh bread, fresh fruit, homemade spreads, with coffee. With extra being charged for milkshakes and fresh fruit juice. I had an enjoyable and relaxing stay here. Although the guest house is located in a residential area, guests must be aware that there is a school located next door and there may be children running around, though I think this is a unique experience. Poverty is a serious threat to a large part of Cambodia’s population (one third of the population lives below the poverty line). It forces many parents to take their children out of school to survive. The children are sent to work in factories or to sell souvenirs to travelers at tourist locations to financially support their families. Once these children reach adulthood, they are very often forced to take on low-paid jobs due to lack of education. Wine in a Tube. Wine Not.